Our packages are bespoke, as every wedding is different & has individual needs. We operate a one wedding per car, per day policy, to ensure that you receive our undivided attention for as long as you have the car with you. Whatever type of wedding is planned, we ensure that the Happy Couple have the time of their life. Each couple receive a complimentary bottle of Prosecco to toast each other after the ceremony & to calm their nerves! Once quoted, there are no hidden & unexpected extras. The car remains with the couple for as long as required. Whether it takes 2 hours or 4 hours, the price quoted is the price paid. We know things happen beyond the control of the Bride & Groom on the day, from traffic to photographers(! ), & don’t think it fair to penalise the newlyweds after the fact if things go beyond a pre-arranged time limit. Our Chauffeurs are all fully uniformed, along with a hat if required & are the consummate professional on the day, attentive in every way, without becoming a hinderance or overbearing. All cars carry a 2-person umbrella in case the weather is inclement, although it could double up as a sunshade too! We cater for both Civil & Church ceremonies, nothing is too much trouble. & their own individual personalities! 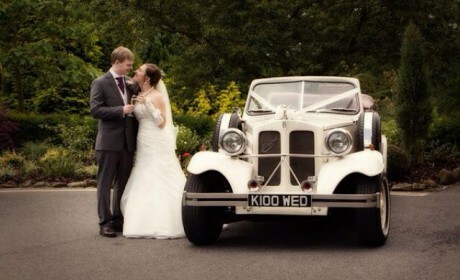 Elanor is the flagship of our fleet, & is our most popular car with Brides. She is a 4 door, long bodied Beauford Open top Tourer & was built by skilled craftsmen at Beauford in 1999. 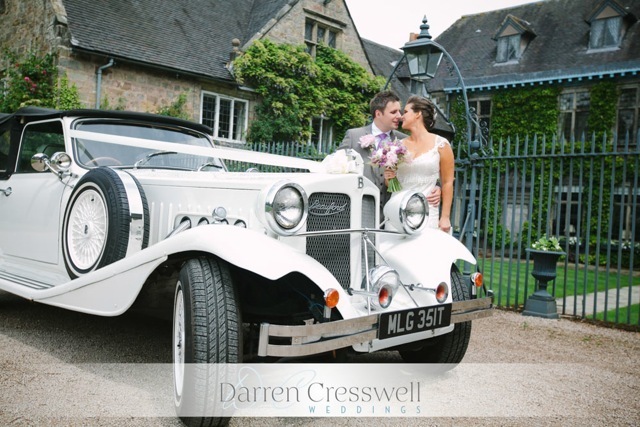 Bonnie is a 2 door, Beauford Convertible, finished in Olde English White & has a Cream leather interior. She is one of the very first Beaufords ever made. Evie is also a 4 door, long-bodied Beauford, but has a full time Hard Top roof. She is finished in Electric Blue & Silver, with a Cream leather interior. 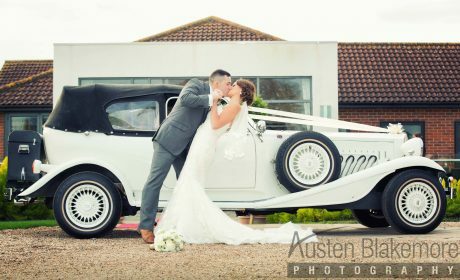 'I just wanted to say a huge thank you for supplying the wedding cars for our big day! 'Thank you for helping us have an amazing wedding day! 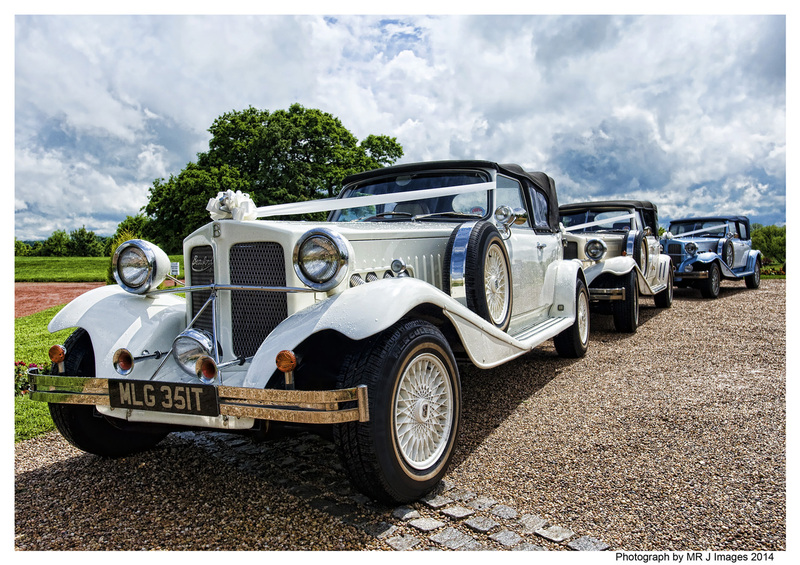 'Thanks ever so much for letting us have your wonderful Beauford for our wedding at Kedleston Hall. 'A little note to thank you so much for the most beautiful cars we could have wishes for for our special day. 'We just wanted to say thank you for being part of a very special day for us. 'Thank you so much for your car service on our wedding day. 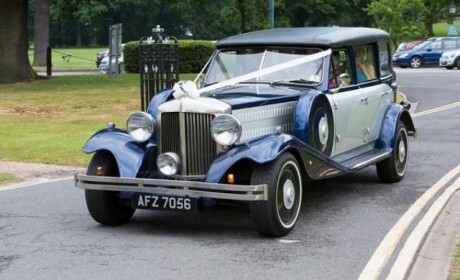 We knew when we first saw the car at Shottle Hall wedding fair we would be looked after. Joanne, you were so kind & helpful arranging the schedule prior to the wedding. On the day the car was immaculate & looked amazing on photographs. 'Thank you so much for making our day magical. 'We would like to thank you for all your hard work making Victoria & Aaron's wedding day such a success. The cars were admired by all & the drivers were so pleasant & helpful. We would not hesitate in recommending your services to anyone'. Mr & Mrs Fardoe, July 2016. 'Bonnie was a delight to be driven in. She looked amazing & everyone commented on how lovely she was. Anna & Matt, June 2011.